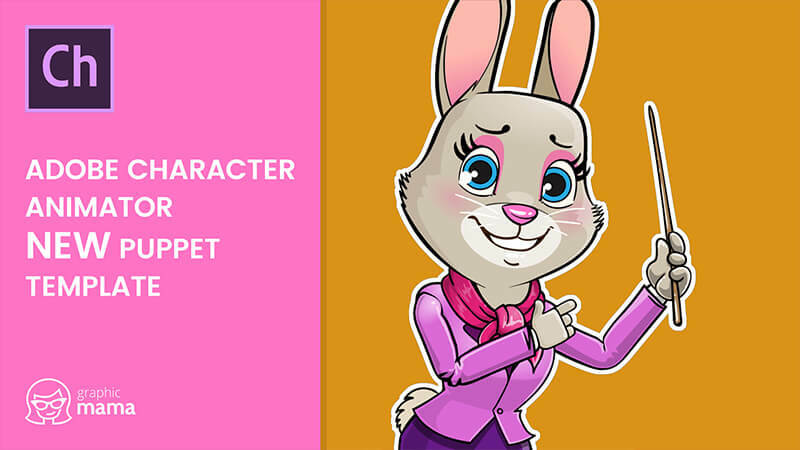 A rabbit teacher Adobe Character Animator puppet fully prepared to be imported into the software with premade triggers. 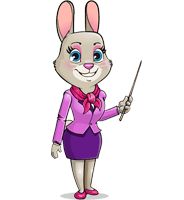 Miss Abby the Rabbit can wave, give thumbs up, point with her stick, express different emotions, and lipsync your words. 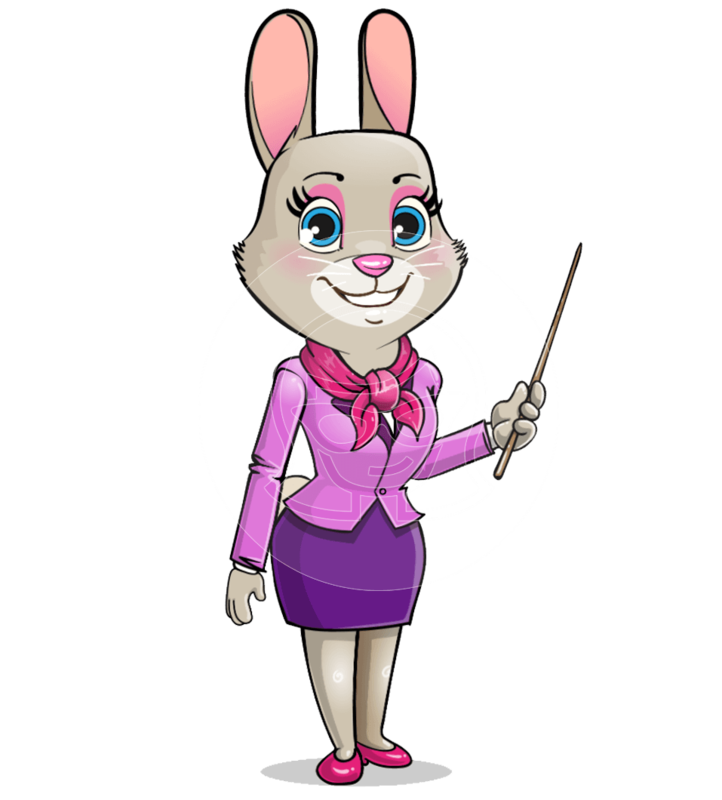 Your audience will simply fall in love with this teacher!